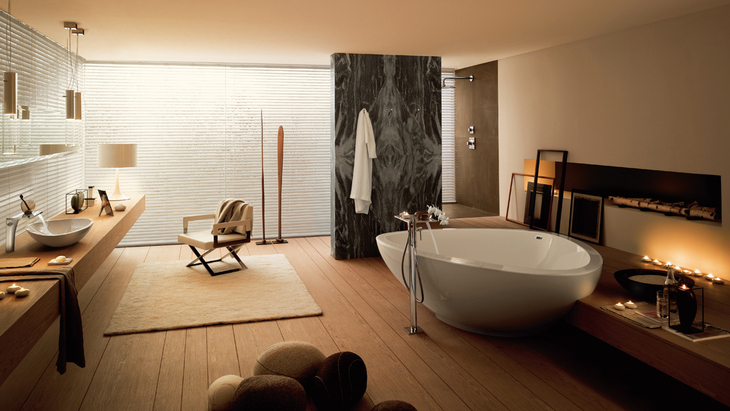 Your bathroom is committed to nature: with wood that is kind on the feet and harmonious shapes that reflect those in the natural world. Personal, useful items subtly adorn the room. Many of our collections and series (such as Axor Massaud in the example shown) can be used to create this kind of feel-good bathroom in your home.